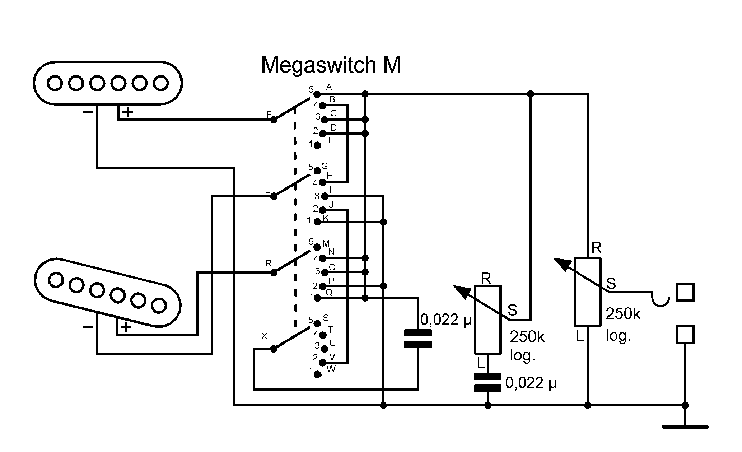 This is the current switching system of the Telecaster since the 1960s. 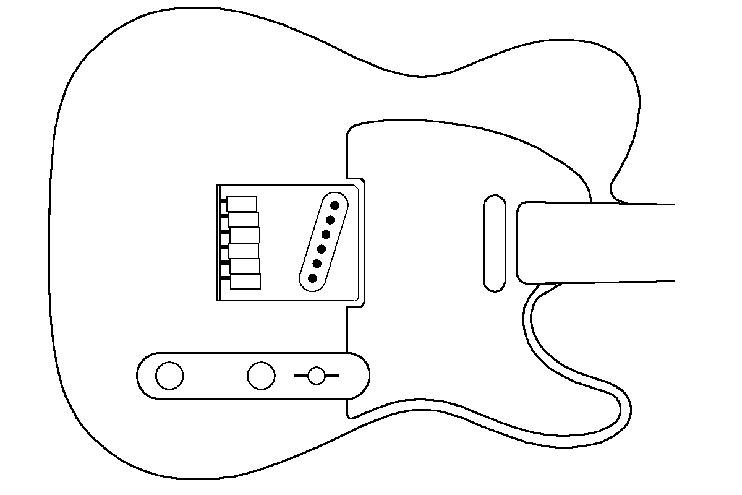 The switch has 3 positions and regulates the bridge pickup, either both parallel or with the neck pickup in operating mode . If a buzz-free position is required in the middle position, the magnetic orientation must be as follows: N-S or S-N. Für Brummfreiheit in der Mittelstellung muss die magnetische Orientierung N-S oder S-N sein. The Megaswitch T is ideal for this purpose. 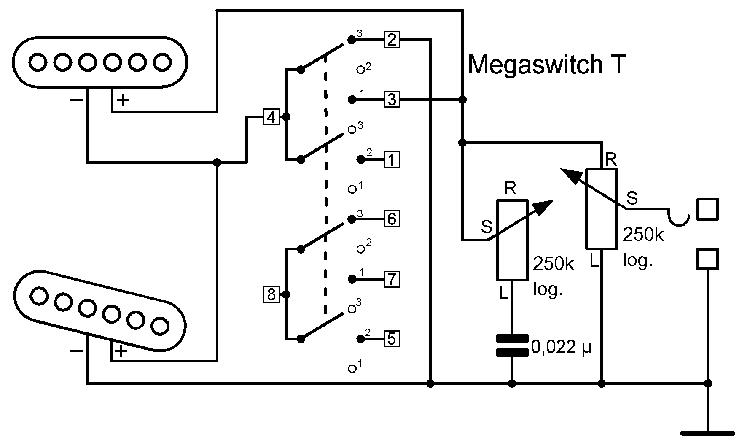 This is a version based on the Telecaster switching system. In the middle position both pickups are in series, which, compared to parallel switching, creates a fuller, louder tone. If a buzz-free sound is required in the middle position, the following magnetic polarity is required: N-S or S-N. The Megaswitch T is also ideal for this application. Warning: Here, the metal cap of the neck pickup must be electrically isolated from the coil and earthed/grounded via a separate wire. Some models are already equipped with 3 wires. See figure 3 in the introduction. Caution: Here, the base plate of the bridge pickup must be electrically isolated from the coil nad earthed/grounded via a separate wire. The capacitor which is switched in series to the bridge pickup in position 2, improves the sound considerably by avoiding the weakening on the bass end of the sound spectrum usually associated with direct antiparallel mode. The value of 0.022 µF is a general guide only and can be increased or decreased as a matter of taste, depending on the resultant sound. 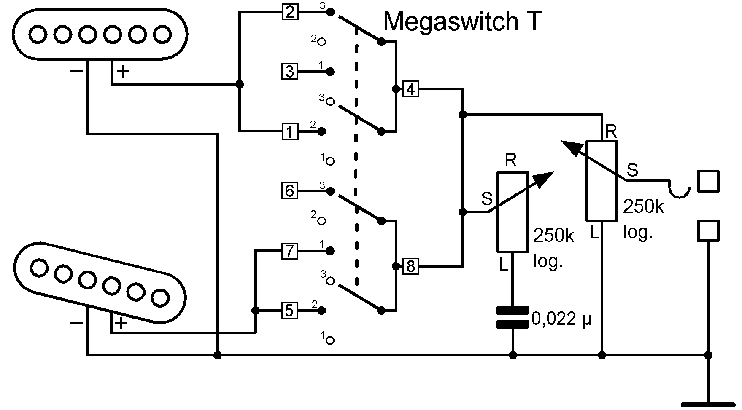 The Megaswitch M is used here.